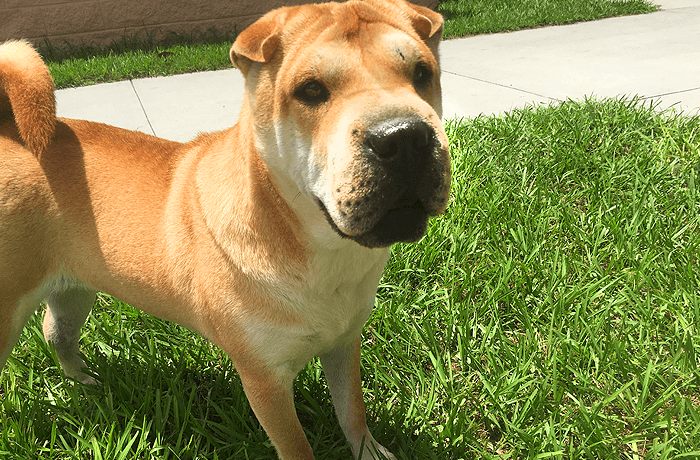 Thelma and Louise are Shar-Pei sisters and must be adopted together. We call them the “Golden Girls”! Although they are sisters, Louise is the shyer of the two and needs someone with patience and kindness to win her trust and teach her confidence. She is comfortable around other dogs; it’s just people she is cautious of. There is a wonderful dog under that timidness given time and patience. Thelma is easy with people and is a comfort for Louise.